Did you know that there is a correlation between your posture and level of alertness? With proper posture, not only do you look better and feel better, but you have the ability to sit upright and be more engaged in conversations and learning experiences. You are more alert and aware of your surroundings, and are in an alert posture to make quicker and more precise movements. When you look around a classroom full of students, you can easily spot the students who are paying attention and learning. What postural presentation do the students who are falling asleep have? They are slumped forward on their desk in flexor dominant posture, or they are slouched low in their chairs with anterior pelvic translation. What postural presentation does an alert student maintain? Alert students are sitting high in their chairs. They are seated upright and engaged. Their level of engagement is much higher than the students who are half asleep with slumped posture. The connection between arousal, consciousness, and motivation in relation to your posture is found in the brainstem, in the reticular activating system. The reticular activating system is a diffuse network of nerve pathways in the brainstem connecting the spinal cord, cerebrum, and cerebellum, and mediating the overall level of consciousness. 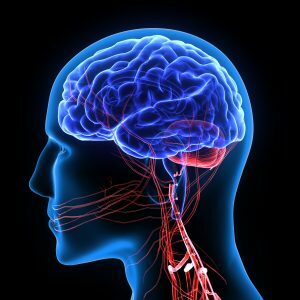 While it may be a fairly small part of your brain, the reticular activating system has a very important role as the gatekeeper of information that is let into the conscious mind. The reticular activating system is an ascending pathway, meaning it carries sensory information to higher orders of the brain. Interestingly, the descending reticular formation of the brainstem is the center of your postural control. The reticulospinal tract descends from the brainstem to the spine, supporting proper postural design. Due to their location within the brainstem, the reticular activating system for arousal and alertness is related to your posture. stimulating abnormalities in reflex/postural responses, and malfunctions in flight vs. flight responses (Skinner, 2004). For example, when a mom is sleeping she is able to block out external noises and rest. When her baby starts crying though, she is very acutely aware of this sound, and sits up instantly in an alert posture. Her reticular activating system told her that her baby crying was an important stimulus, so she shifted her posture from being asleep laying down, to sitting up in bed awake and alert. Because of the connection of posture and consciousness, research also demonstrates that with proper posture there is better cognitive performance (Muehlhan, 2014). Not only are students who have proper posture in class taking care of their spine and practicing proper posture, they also have a higher level of engaged learning and cognitive performance. The same is true for modern day occupational athletes. While sitting at their desks performing work, by shifting their posture upright, they will be that much more conscious of the work they are doing and engage at a higher level of productivity.